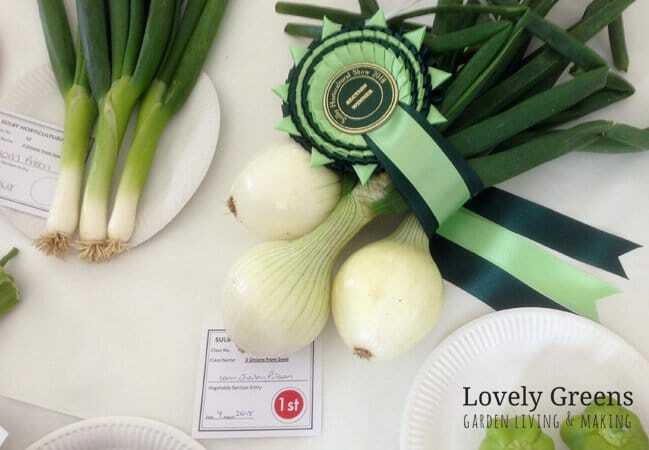 Some years ago I was wandering around the Sulby horticultural show when I overheard an odd comment. It was a woman remarking to another that the prison has scooped up all the awards again. Sure enough, the Isle of Man Prison was listed on many of the winning entries. 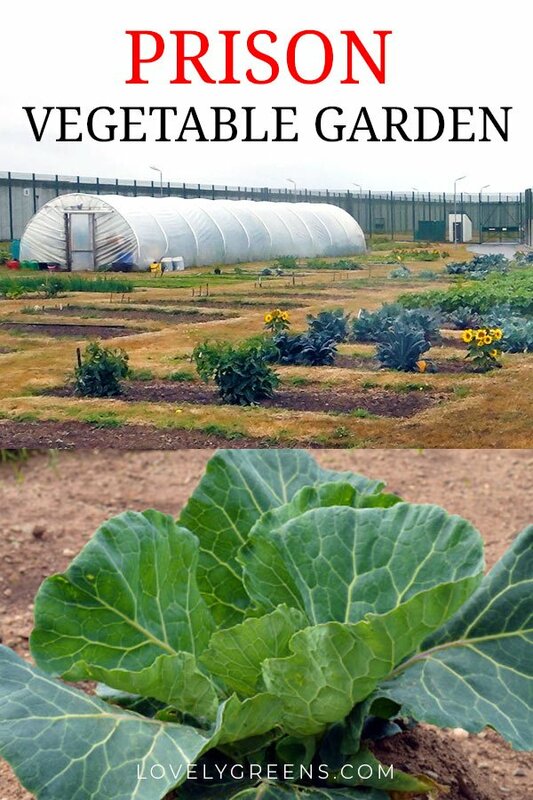 Since then I’ve often wondered about the prison vegetable garden. If prison is for punishing criminals, was gardening being used as a punishment? This year I finally got the chance to see what it was all about for myself. I visited the prison on a wet and gloomy morning, its grey walls looming up to meet a grey sky. It’s intimidating entering such a secured facility even though a warm welcome awaited me inside. Not long after I was directed into a waiting room I was met by Nigel Fisher, Deputy Governor, and Johannes ‘Vossie’ Vorster, Senior Resettlement Officer. They gave me a tour earlier in the year when very little was growing. Their big smiles told me that I had a lot more to see this time around. Vossie is the go-to man for the prison’s gardening programme and he enthusiastically showed me around the grounds. Patiently he opened and locked gates as we passed through each building, yard, and section. Outside there are three separate areas used for vegetable gardening. There’s a small herb bed in the women’s quarters but the larger gardens are worked by the men. These are separated into two areas — one for the general prison population and the other for vulnerable prisoners. Both areas have open-air garden beds and a poly tunnel each. What I saw growing there was a far cry from the barren soil I was introduced to in April. 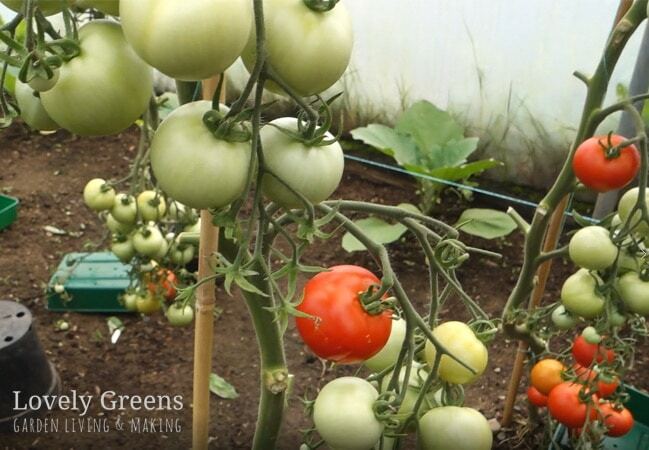 One polytunnel was filled with gorgeous tomatoes and cucumbers. The other had dozens of pepper plants, aubergines, and courgettes. Trays of fresh homegrown vegetables destined for the kitchen were waiting outside one of them. Growing outside was cabbage, carrots, lettuce, and everything in between. Not bad considering the exposed site and the fact that none of the prisoners had prior gardening experience. That’s not the only challenge. Getting seeds and having them at the right time can be difficult. One prisoner has a magazine subscription that gets delivered with a packet of seeds every month. Every one of those seeds is put to good use. They also grow many of their crops from kitchen scraps. This year all their very productive pepper plants were grown from seeds they saved from shop-bought veg. One prisoner told me about collecting them from the bin, drying them, and sowing them earlier in the spring. Another prisoner who will be released soon is already looking for an allotment. Growing vegetables has had such an impact on him that he wants to continue growing veg as a free man. There were only a handful of prisoners working when I was there and for discretion, I didn’t film their faces. I did speak to two on audio and you can hear what they have to say in the video further up in this piece. It’s not costing a lot for the prison to run the vegetable garden scheme either. Though they obviously supply the land and the supervision needed, everything else has come via donation. The poly tunnels, composted manure, additional seeds, and tools. 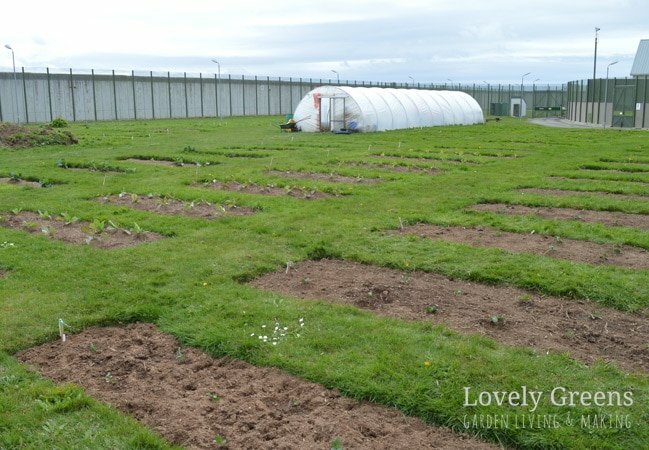 The prison vegetable garden produced so much produce over the summer that it stopped having to buy it in. That’s a lot of money being saved considering that they’re preparing three meals a day for almost a hundred prisoners. A peek inside the kitchen’s walk-in refrigerator shows it stocked with boxes of homegrown tomatoes, carrots, greens, and peppers. There’s another way that tax payer’s money is being saved that isn’t initially evident. I spoke at length with Prison Governor Bob McColm and it was clear that first and foremost this programme is about rehabilitation. Every one of the prisoners held in their facility will be released in anywhere from a few weeks to under twenty years. 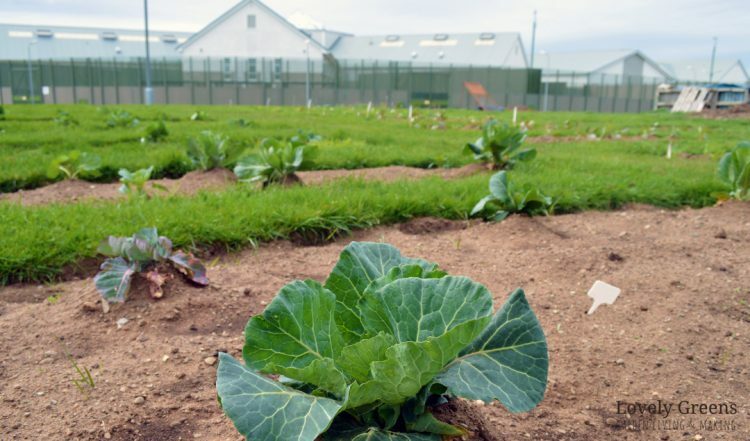 With the horticultural certificate programme that he hopes to introduce, prisoners will be able to find employment after they’ve been freed. He says that giving prisoners access to jobs after they’re released can cut re-offences down by an incredible 95%. That makes our Island a safer place for everyone and reduces the cost of housing re-offenders. Though I don’t have an exact figure for how much it costs to house a prisoner every year on the Isle of Man, in the UK it’s about £23,000. 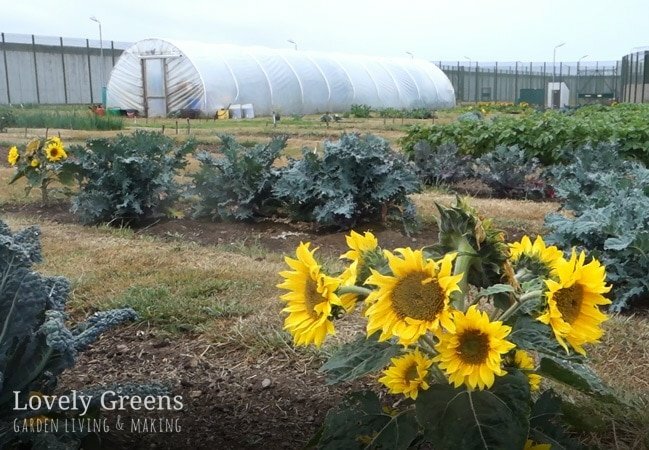 In the interim, gardening is good for instilling responsibility and for getting the prisoners out in the fresh air. Using gardening not as a reward but as therapy can also help address mental and emotional issues. In the end we have to ask ourselves what kind of neighbour we’d like to live next to — one who has been ‘punished’, or one that has been rehabilitated? 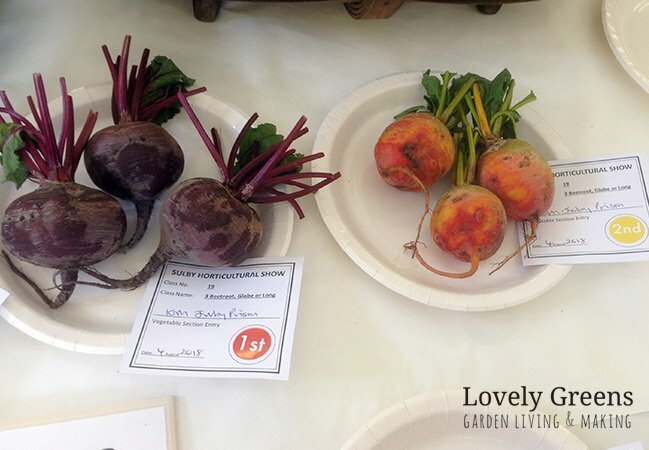 That brings me back to the Sulby Horticultural Show. Those prison entries weren’t just about racking up the awards; they were a way of saying ‘Hey, we’re here, and we want to contribute’. I think the Isle of Man Food Bank will agree as well. Every piece of prison veg entered into the show was donated to help the Island’s needy.